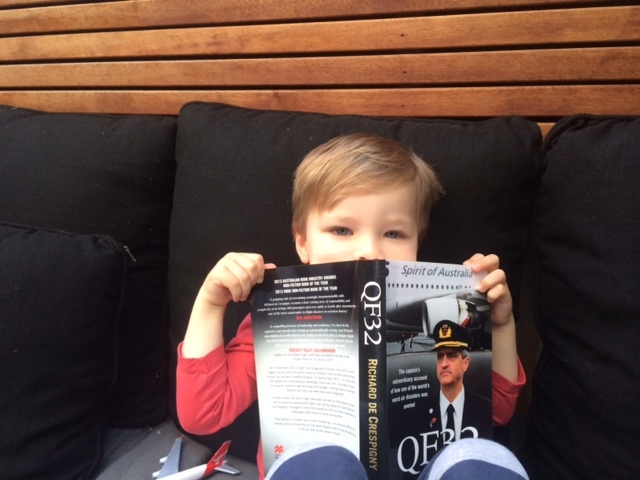 Many people gift our book “QF32” to friends and families for birthdays, graduations, holidays and other special occasions. In keeping with the spirit of the coming holidays, we have reduced the price of the “Personalised Autographed” version of QF32 by AUD$10 to AUD$39.95 (plus delivery costs). The book will be wrapped in Christmas/special paper with a sticky name label if requested. This offer is only valid until 16th December 2014 (as we fly to Europe the following day). The books may be delivered directly to your gift recipient. For those living in the northern hemisphere – keep warm! For those living in the southern hemisphere, please be careful in the water. 140,000 children drown every year, about 560 times the number of children killed world-wide every year in commercial aviation accidents. Wherever you live, please be kind to each other, especially the lonely and less fortunate. Thank you Mandy. Coral and I wish you and your family safe holidays and a fabulous new year.